I (Chloe) have a favorite spoon. Steph informed me that it is officially called an “iced tea” spoon but I call it my Greek yogurt spoon. I look forward to using it to eat my Chobani yogurt every single afternoon. Question of the Day: Do you have a favorite utensil? 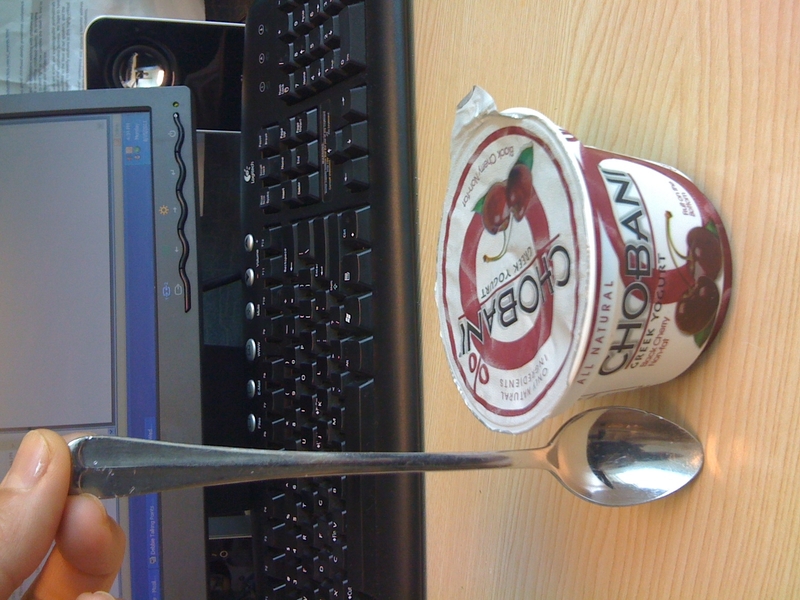 I have a spoon that is probably about the same size as that which I also love to use for yogurt. Intriguing. Oh my gosh, I have the exact same kind of spoon that I’ve dubbed my “yogurt and overnight oats spoons” aka my “YOO spoon”! 😉 I will seriously dig it out of the bottom of a sink full of dirty dishes before I go for any other spoon!